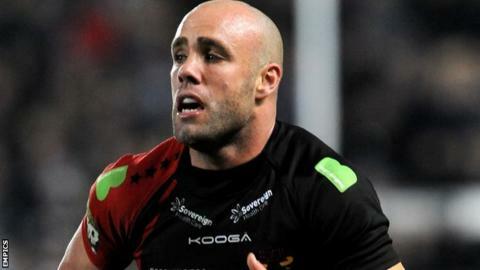 Bradford Bulls centre Adrian Purtell says he is not confident of being able to continue his playing career. The 27-year-old suffered a heart attack in May after the Bulls' defeat by Leeds Rhinos at Magic Weekend. He told BBC Radio Leeds: "I'd be silly not to think of the worst case scenario. I have hopes of coming back to play but I know my body has gone through a massive trauma. "I'm hoping for the best but I am expecting the worst." He added: "I realise I'm very lucky to have got through what I did to be feeling quite healthy now. "I'm pretty much back to normal now. I'm back training, I don't do as much as the other boys but I'm in the gym and it's hard to believe I had a heart attack four months ago." The Australian is meeting a sports cardiologist in London on Wednesday to have further tests to see whether he will have to retire. The former Penrith Panthers man, who is in his first season in Super League, praised the performances of his team-mates in his absence. Despite being deducted six points for entering administration, the Bulls head into the final round of regular season games one point off Wakefield in eighth place. "It's disappointing that I've not been able to play and help the boys out because they've been awesome," he continued. "They can hold their heads up high because with all the uncertainty that's been going on it can be hard to concentrate on playing so they should be very proud to still be in with a chance of reaching the play-offs. "It seems like things are heading in the right direction off the pitch too, so hopefully that gets sorted soon."